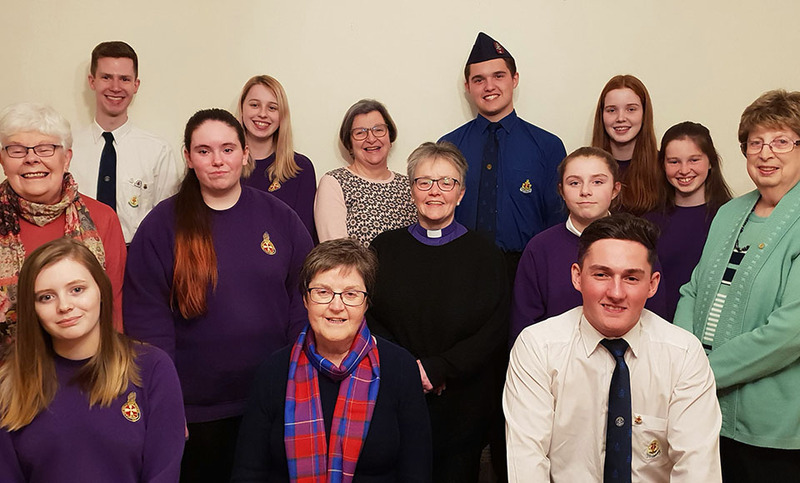 The Guild, Girls’ Brigade Scotland and The Boys’ Brigade have joined together to launch ‘The Big Footprint’ – an all-ages event planned for Holy Saturday (20 April) and Easter Sunday (21 April) that will bring churches and communities together to show the ‘footprint of faith’ that exists in Scotland today. Ahead of Easter Sunday, when Christians around the world will gather to celebrate the resurrection of Christ, The Big Footprint will be a chance for the Church of Scotland to show itself as a visible and active presence within local communities by walking together. “This is an invitation for people of all ages and stages to walk and talk together, showing we care for each other and the world and helping to shape healthier communities across Scotland and beyond. What’s not to like? The new initiative follows in the footsteps of Susan’s theme for the year – ‘walking with…’. During the past year, Susan has highlighted the many different benefits of getting out and walking more, including the improvements to your mental, physical and spiritual health, as well as for the environment. The Guild is encouraging church groups to get involved by holding their own Big Footprint events, with the hope that each walk will culminate with bringing people together for food and fellowship. Most events are taking place on Holy Saturday or Easter Sunday, but if this does not suit your group, you are welcome to choose an alternative date. The main events which are currently being planned will be in Glasgow, Edinburgh, Dundee and Aberdeen, but also in many communities in between. There are no rules on how long your community walk or journey should be – it could be a mile, or it might be longer. What is important is the act of coming together, going out in to a community and inviting others to join you on the journey. You can take part in one of our main events in Glasgow, Edinburgh, Dundee and Aberdeen on Saturday 20 April and Sunday 21 April. Glasgow 10.30am – Starting at Glasgow Cathedral, going down the High Street before crossing the river over and back on the four bridges to the west of the High Court. This brings us back to Jamaica Street from where we walk to St Enoch Square, then Buchanan Street, St Vincent Street to St Columba Church of Scotland near Charing Cross where refreshments will be served. The walk is 4.3km / 2.6 miles. Dundee 10.30am – Location to be confirmed (we will update this page with further information as soon as possible). Edinburgh 2.30pm – Starting at Polwarth Church, the walk will go along the canal footway as far as the Slateford viaduct before returning to Polwarth where refreshments will be served. The walk is approx. 4km / 2.2 miles. Aberdeen 2:30pm – Starting at Midstocket Church. It will be a gentle walk suitable for people of all ages and abilities. Register now on the Eventbrite page to take part in the events. These will be gentle walks in urban areas so all you will need is appropriate footwear and a rain jacket (just in case). Food will be provided at the end of each walk.